Energy giant Royal Dutch Shell pulls in a toasty $7.2bn net profit as the cost of oil and gas climbs 48%. Shell chief executive Peter Voser said that Shell’s bumper profits were a result of ‘good progress with our strategy; improving our competitive performance, delivering a new wave of production growth, and maturing the next generation of growth options’. Thrashing the competition, digging deeper for natural resources, and investing in green and alternative energy sources, basically. What he doesn’t mention is that you’d have to be totally incompetent not to make money in this market; crude oil prices are sky high, averaging at $113 a barrel. Big energy companies are doing well across the board. Earlier this week, BP announced a 246% rise in third quarter profits to £3.2bn (although the Deepwater Horizon spill fines will absorb a fair chunk of that). ExxonMobil is expected to post decent results next week too, albeit with a slightly more subdued profit increase of 48% for the third quarter of 2010. 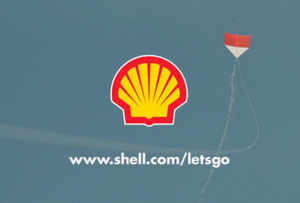 It’s certainly party time for Shell's stakeholders: the company is dishing out an interim dividend of $0.46 per share. But, with gas prices and petrol costs spiralling out of control, consumers may find these earnings hard to swallow.